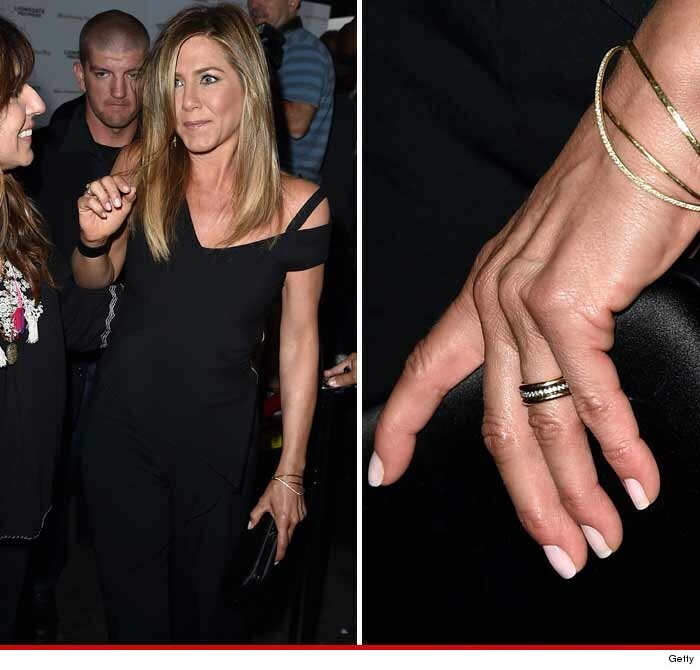 Jennifer Aniston is back from Bora Bora … proudly displaying the symbol of marriage. Jen showed up at the premiere of her new movie, “She’s Funny That Way,” with a diamond encrusted gold wedding band. She wasn’t wearing her engagement ring, maybe to showcase the new bling.